The cloth edition includes a CD of music samples; the CD is not included in the paperback edition. A contemporary of Shakespeare and Monteverdi, and a colleague of Galileo and Artemisia Gentileschi at the Medici court, Francesca Caccini was a dominant musical figure there for thirty years. Dazzling listeners with the transformative power of her performances and the sparkling wit of the music she composed for more than a dozen court theatricals, Caccini is best remembered today as the first woman to have composed opera. Francesca Caccini at the Medici Court reveals for the first time how this multitalented composer established a fully professional musical career at a time when virtually no other women were able to achieve comparable success. Suzanne G. Cusick argues that Caccini’s career depended on the usefulness of her talents to the political agenda of Grand Duchess Christine de Lorraine, Tuscany’s de facto regent from 1606 to 1636. 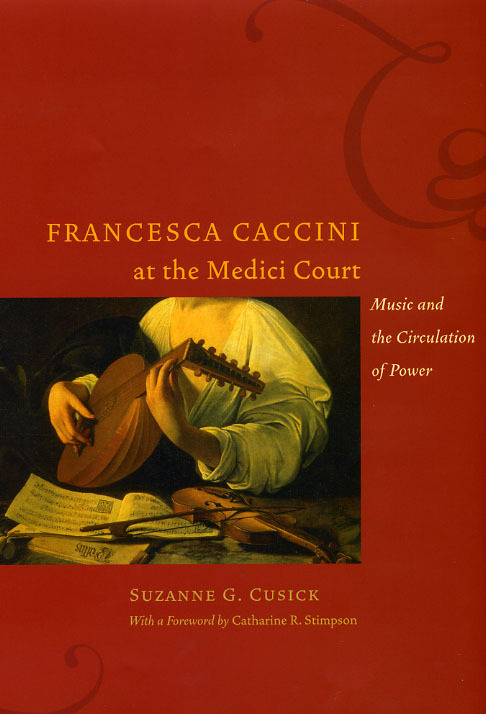 Drawing on Classical and feminist theory, Cusick shows how the music Caccini made for the Medici court sustained the culture that enabled Christine’s power, thereby also supporting the sexual and political aims of its women. In bringing Caccini’s surprising story so vividly to life, Cusick ultimately illuminates how music making functioned in early modern Italy as a significant medium for the circulation of power. 5 Who Was This Woman? "Cusick’s groundbreaking study represents an important addition to recent musicological scholarship on the lives of female composers. . . . This book will be of interest to readers interested in music history, cuiltural studies, and the role of women in early modern Italy. By examining the historical and cultural elements, the author brings new, exciting, invigorating, and much-needed in-depth analysis, and provides a more accurate portrayal of tthe composer and her works than has been seen before." "Thanks to a massive collation of documentary material, as well as contextual evidence, Cusick’s multidisciplinary approach portrays Francesca’s existence while vividly describing her own society and its social duties. In other words,this volume provides a priceless study on a songstress and her audience or, as Cusick puts it, on ‘the musical centre of a women’s court.’"